The big story dominating the mortgage market at the moment was Governor of the Bank of England Mark Carney’s speech last week, followed up by another this week, that he sees interest rate rises getting ever closer. This was his strongest message yet that rate rises are on the cards within the next few months and though he has been wrong before, saying things chiefly to help move markets, whether or not you agree with him this time the intent did seem to be there. Carney did however, point out that rates will increase slowly and gradually, citing that they will reach circa 2.25%. This “equilibrium” rate will settle lower than the historical average of 4.5%. He did, of course leave himself lots of wriggle room, but the timing of the Governors speech was interesting with other economic data and events elsewhere in the world seemingly suggesting that a sustainable recovery is still not a foregone conclusion. Those who remember his famous “Forward Guidance” from earlier in his role may take all of this with a pinch of salt and there are those who seem to think this is not the time to talking up interest rates. Inflation is still 0 and the £ is strengthening which could hurt exporters, with the Chief Economic Advisor to the EY Item club saying that the speech was misinterpreted and the prospect of rate rises this year are “ludicrous”. They say rates won’t move until Autumn next year. There are others, however, who believe it is better to act earlier and gradually rather than risk being behind the curve and forced to play catch up. This does very much seem to match the comments made across the pond in the US by the Fed Chairman Janet Yellen. Minutes released from the Bank of England of the last MPC Meeting did seem to suggest that 2 or 3 members are now very close to voting for an earlier than expected rise. So, the question is does Carney really mean it because he wants to stay on top of a recovery or is he just looking to assuage those who would actually want this to happen earlier with a bit of tough talk? Or is it just a matter of wanting to increase rates now so if they have to decrease them again later they have more room for manoeuvre? Whatever the case it is a useful reminder to all of us that the current low crop of interest rates are the exception not the norm. The main issue for many borrowers is that they have been used to a long period of low interest rates and are now budgeting accordingly. This means that even a small rise in rates may be felt more dramatically. As a result there could well be a good many borrowers who would be better off looking at the security of a longer term fixed rate now to ensure that they do not have issues further down the line. As ever it is important for borrowers to assess their situation sooner rather than later as SWAP rates and therefore associated mortgage deals normally move upwards before the actual base rate changes and comments such as those from Mr Carney could have such an effect. Those who wait may find that the best deals have already gone. That said, with competition between lenders likely to increase over the remainder of the year, we should still see some highly competitive products available to borrowers. Lenders have some stiff lending targets to hit this year and will be reticent to raise rates unless they really have to. 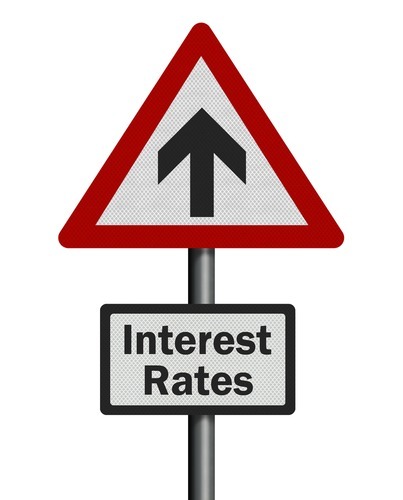 If Mr Carney is correct and sticks to his current view, which is far from certain, then the next few months could prove to be the last time for many years that such low fixed rates are available. We will know more once we see what Swap rates do over the next couple of days as they are the key. If they do rise then we could therefore see some lenders putting up their rates slightly, but not dramatically in the next week or two.